Whether you’re a plumber, brick and mortar fashion boutique, pet groomer, or digital marketing agency, you want to outrank your local competitors in search. Local doesn’t have to mean your city – depending on your service offerings “local” might be as large as your state or tri-state area. As a digital marketing agency, we don’t need to be down the road from our clients, but we want to be discovered by people in our state and the surrounding area; but as a plumber, you probably want to focus your search engine optimization strategy on your surrounding neighborhood so you get found by the people who will likely be using your service. So local SEO, what is it? It’s optimizing your site to rank better in searches for your service or product offerings in the area of your business. It’s also optimizing your business’s presence on the internet to increase your chances of being found in search. How do you do this? With a strong local keyword strategy and by building up your reputation online. Read on to learn how to show up higher than your competitors in local searches. Keyword planning is an essential early step for any SEO strategy, and for local SEO you should approach it differently than you would for an ecommerce website or blog. This is because you need to incorporate keywords that include the city or state that you are trying to rank for. Before you begin, decide what areas you want to rank for in search. If this is your first attempt at local SEO and you’re currently not ranking for any local keywords, start small – your own city or county, and perhaps the nearest surrounding cities. Targeting your entire state or larger cities probably won’t be too successful if you don’t have a strong keyword standing for your own city. If you’re stuck for what local keywords you should use, you can always look at what your competitors are using in their keyword strategy. One way is using a competitor research tool. SEMRush is a great tool because it will show you valuable information like how much traffic a keyword generates. Another tool that’s easy to use and free is the Google Ads Keyword Planner. With Keyword Planner you can search for your own ideas and see how much competition they have and what the average search volume is, or you can search any URL and see what keywords that website is targeting. You should be performing keyword research often, don’t only do it once in the beginning and never do it again. Tools like SEMRush and Keyword Planner are helpful, but the information they provide might not be your be-all solution. For example, if you’re a local plumber and you want to use the keyword “Emergency plumber in Stamford CT,” a keyword planning tool might not qualify that as a good keyword because it gets so little searches in a month. Usually, you’ll want to avoid keywords with very low traffic, but with local SEO it’s a little different. With these long tail and local-specific keywords, not many people are searching for them, but they intent is there and conversion rates are much higher. A successful SEO strategy takes testing, evaluating, making changes, and retesting over and over again because Google, keywords, and how people are searching are all always changing. To stay ahead of your competitors, you should also keep changing to keep up. So even if a keyword appears to be low-performing, don’t be afraid to experiment with it. Especially with long tail keywords, you might be surprised how successful they end up being. Now that you have a list of keywords that you can use in your keyword strategy, you can start implementing them in your metas, on your website, and in any future advertisements you decide to run. Here’s a helpful blog that walks you through where you can incorporate your SEO keyword strategy on your website. A keyword strategy isn’t the only way to step up your local SEO. In fact, Moz determined what factors into local search rankings and on-page signals like keywords on your website only account for 13.82% of you local search ranking. Google My Business (GMB) signals affects your website’s ranking the most, at 25.12%. Setting up a GMB profile is essential for any local business because it is not only have Google is going to find and rank you, but it’s also how your customers are going to find you. This is known as the knowledge panel, and it will populate for relevant searches with information you have on your GMB profile. This information will vary for businesses, such as a restaurant might have the link to their menu or a store could show their busiest hours throughout the day. We provide our business hours, address, phone number, photos, and our Google Maps listing because that’s the information most valuable to our clients. If a customer doesn’t know your hours or your address up front, there is no guarantee that they will search any further to find it. It’s best practices to offer this information up front, not to mention Google also uses it to rank your website. 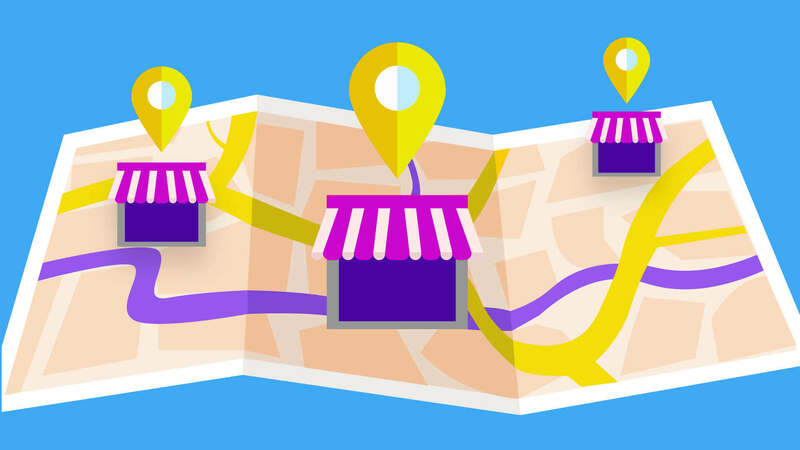 Google determines local ranking by three factors: relevance, distance, and prominence. All of these factors can be achieved with a good online reputation. This includes a completed GMB page, but also presenting yourself as the best of your industry online and showcasing positive reviews by past customers and clients. Google looks for your business’s NAP (name, address, phone number) across the web when determining both your distance and relevance. Simply put, the more they find your NAP and the more reputable those sites are, then the higher your website will rank in search for relevant searches. Google is using the information on your GMB profile, so that information needs to be consistent everywhere your business exists online. If your GMB profile isn’t kept up to date, this can harm your SEO score. Your local SEO strategy will also help you improve your scores for relevance and distance. Using long tail keywords in your strategy can often increase your relevance because long tail keywords are similar to how people search. Also utilizing keywords that relate to your business’s services or products can increase the amount of searches you are found to be relevant for. The local keywords will increase the distance-related searches that you appear for. Having a local SEO strategy was is well planned and covers all of the bases – from on site, to keyword planning, to off-site, is important to succeed in you industry. You want your business to be found in search by your target audience, and it’s very likely your target audience is in the local area. Get found by the people who are going to convert and give you their business. Follow our SEO Guide to better understand the basics of search engine optimization, and be sure to reach out if you have any more questions on how to get your website found through search.